The Small Business Albany Showcase and Albany Job Fair features over 50 exhibitors, with 4 business and career seminar presenters every hour from 9a through 4p. The SBA Showcase is open to the public and there is no charge to attend any of the events. The Small Business Showcase and Albany Job Fair is Wednesday, October 4th at the Holiday Inn and Conference Center on Rt 9 at 400 Old Loudon Road, Latham New York. The SBA Showcase is underwritten by Albany Broadcasting and SEO Web Mechanics™. The event opens with Speed Networking from 7:30a-9:00a and a full line up of exciting speakers and presenters from 9:00a to 4:30p. Admission to the Albany Job Fair, SBA Showcase, Speed Networking, and all Seminars is free. 7:30a-9a The SBA Showcase Breakfast Meetup and Speed Networking Event is free to attend and light fare will be available to all participants. Come grab a cup of coffee and network with area business owners, recruiters, marketing experts, social media managers and marketing executives. 9a-4:30p Open networking with exhibitors in the Atrium Ballroom, meet and greet and find that perfect business to start, join, network with or create a new customer relationship. Over 30 Companies will be recruiting, many hiring on the spot! Bring your resume and dress for success. 9a-4:30p Seminars will run all day, across 4 conference rooms; Teleconference Room, Executive Boardroom, and Conf Rooms C & D will be offering business, marketing and Career Growth topics. Seminars start at 9am and run through 4:30pm. Featured presenter, Google, will be in the Teleconference room at 10am & 2pm followed by Adwords Best Practices & Google Plus Best Practices respectively by Darcy Knapp, Google Certified Partner. The seminar schedule offers a variety of topics from Social Media to Disaster Recovery, Copyright and Accounting to Business Funding, Resume writing and Networking to find your next job. There are enough seminars and events to keep the small business owner, entrepreneur and job seeker busy all day. 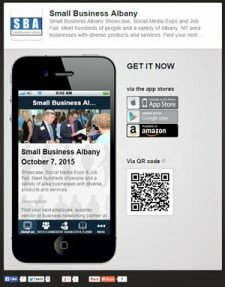 Check out the full line up of seminars across the venue at http://smallbusinessalbany.com/. There are a variety of seminars to help business succeed in the digital age including topics: Digital Advertising, Podcasting, App Development, Legal Issues facing businesses, Facebook & Facebook Advertising, LinkedIn Networking, YouTube Marketing. Google Presents at 10a & 2pm, the Franchise Forum is at 1pm and the Veterans Employment Panel will be from 3p-5:30p. There are businesses and recruiters ready to talk from their exhibitor tables all day. Job seekers can find a variety of businesses recruiting at the show as well as seminars on choosing the right career path and interviewing skills. 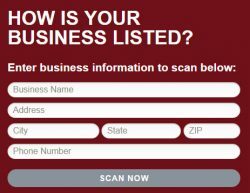 The SBA Showcase features seminars for business owners and managers, all seminars are educational and information based. Job Seekers can find a full day of hiring tips seminars in Conference Room C. All seminars are open to attend. The SBA Showcase offers a full day of informative sessions for business and job seekers.